We did this fun little activity when Lilly was 8 months old. It was so much fun and so easy! 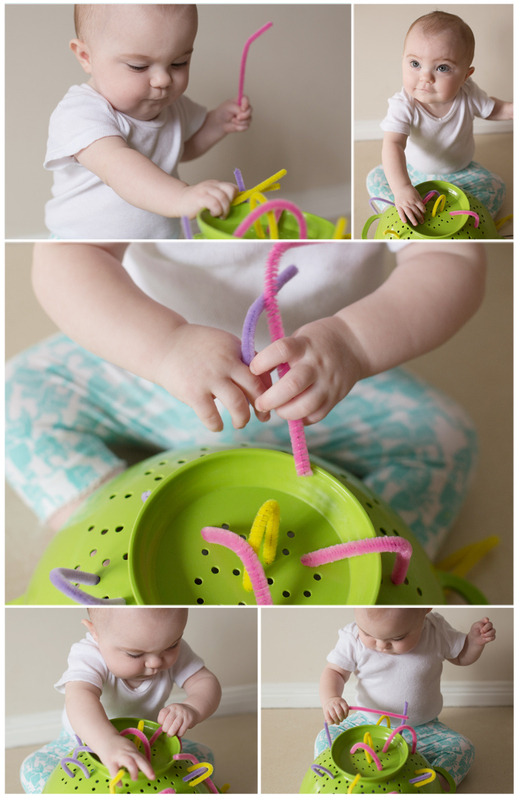 All you need is a colander from your kitchen and a packet of pipe cleaners. Just thread them through the holes and let your bubba at it. This activity is great for older children too as they can thread the pipe cleaners through the holes themselves. If you're a bit anxious about the wire in the pipe cleaners, you can curl then ends up. This is such a cool activity for a baby! They'll be so engrossed in doing this and you can quickly finish up all your chores! A very easy homemade toy, i will be sharing this with all my friends and family!